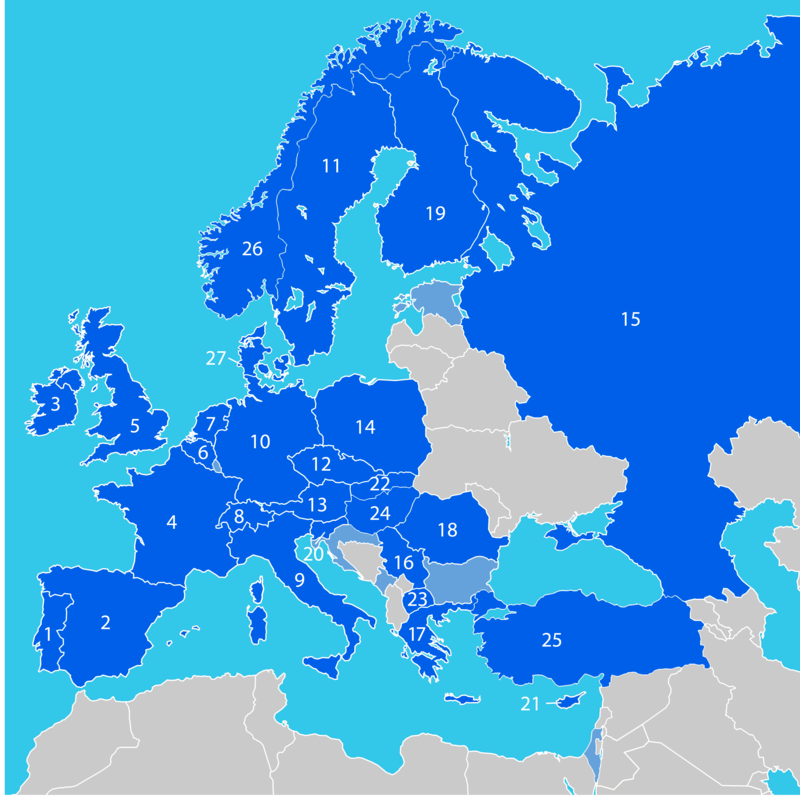 A map of all the countries which have active delegates in the EYCN: (1) Portugal, (2) Spain, (3) Ireland, (4) France, (5) United Kingdom, (6) Belgium, (7) The Netherlands, (8) Switzerland, (9) Italy, (10) Germany, (11) Sweden, (12) Czech Republic, (13) Austria, (14) Poland, (15) Russia, (16) Serbia, (17) Greece, (18) Romania, (19) Finland, (20) Slovenia, (21) Cyprus, (22) Slovakia, (23) Republic of North Macedonia, (24) Hungary, (25) Turkey, (26) Norway, (27) Denmark. At the 14th Delegates Assembly (2019), there were representatives from 21 chemical societies. You can see all the delegates present at the 14th DA here.